Round two of the Gallery Review analyzes, what we think is the most crowded and the most visited Gallery in the suburbs. 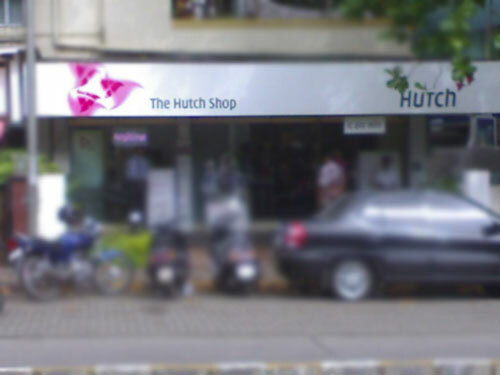 This is the Hutch Gallery at Andheri (W), near Irla SV Road. The gallery caters to customers of Andheri and Vile Parle. And that’s the reason for the chaos at this place. As we entered, it was just another day at the Gallery with people waiting in queue for their number to be called out. Yes thats how it is done at the Gallery. The gallery has an adequate number of people assisting the visitors. The token system is in place (extremely necessary for this gallery), without which the Gallery would be a mess. Assistants are always at hand and manage small tasks like solving small problems and answering your questions on schemes and offers. These guys are of great help. Moving on, the Gallery has about 8-10 counters and an executive at each counter. The Gallery follows a dress code, which was followed by the executives and thus was pleasing to the eyes. The crowd won’t be much of a problem for you as the AC and the adequate seating takes care of that. There’s a billing counter and people who assist the executives to check all your documents in case of new connections. The staff was well aware of the schemes and other related information. The environment is kept as good as possible by having good decor, which keep your frustration levels down in case you are one of the hot headed persons who don’t like to stand in queues for something. Overall, we rate it at 4 on a scale of 5.